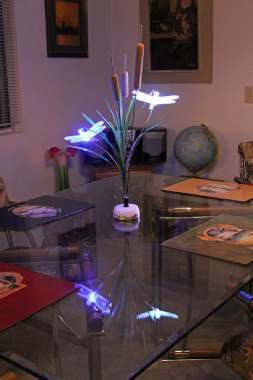 ﻿ Home - Garden Ornamental Indoor Lighting Applications. 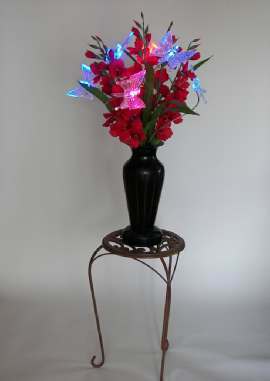 Use Sprink-L-ites™ to create beautiful indoor ornamental lighted bouquets. 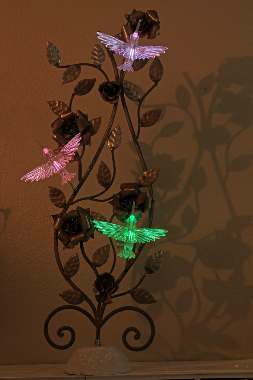 The color changing lights add a new dimension to the arrangements creating a mesmerizing therapeutic effect. 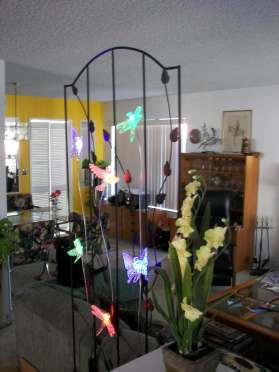 Use Zip ties to attach the Sprink-L-ites™ sculptures to a trellis and create a unique room divider. 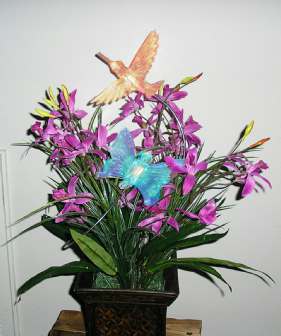 Attach the Sprink-L-ites™ to an ornamental Plant to light up a corner or add some variety to a static display. 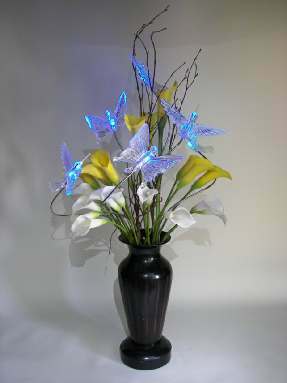 The Butterfly Lights create a beautiful Boquet when combined with Calle Lilies. 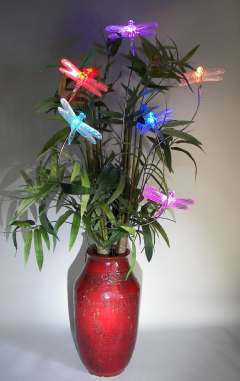 Our Dragonfly Lights look great with Artificial Bamboo or Real Tropical Plants. 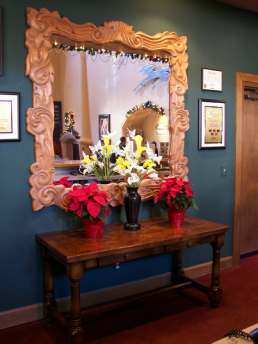 Lobby Displays, Walls, Tables, Decks and Halls. 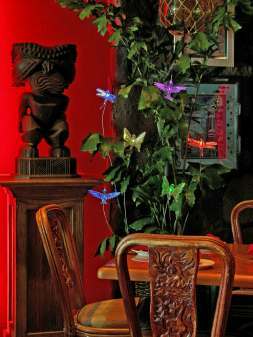 Sprink-L-ites™ go where ever you want to make a statement.